If you own a smart phone, you can use it to scan qr codes easily. 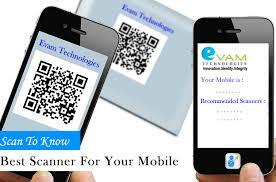 In today’s technologically advanced era, qr codes are slowly becoming one of the preferred ways of marketing. With qr codes, it is possible to reach out to numerous clients and potential clients directly. For this reason, most smartphone manufacturers are creating smartphones with inbuilt qr scanners. Qr codes make it easy for smartphone users to reach their preferred online stores without being redirected to numerous sub-sites. They are also excellent ways of making available business contacts directly to client smartphones. Best qr scanner – What are qr codes and why are they important? A qr codes, also referred to as a quick response codes were first used in japan in the late 90s; qr codes are two dimension codes that carry information pertaining to a business contact or business website. In order to read the qr code, you need a qr code reader. It is important to look for the best qr scanner in the market to be able to accurately read the qr codes. The best qr scanner is the one that comes with your smartphone. Most of the inbuilt qr scanners are created with the capability of reading qr codes as well as other types of codes. Also, these inbuilt qr code scanners come with the capability to create your own codes. This is why your smartphone is regarded as the best qr scanner. If your phone does not come with an inbuilt qr scanner, you can always download a <a href=”http://qr-code-scanner.com/?s=scannerlist target=”_blank”> scanner app </a> from your mobile app store. Ensure the scanner has the ability to read one dimension and two dimension codes. It should have the capacity to build your own codes. It should be compatible with most smartphones. It should have the capacity to scan codes fast and easily.